Jumping into an RV to take a spontaneous nature-filled journey across the United States sounds like a dream, and most of the time, it is. 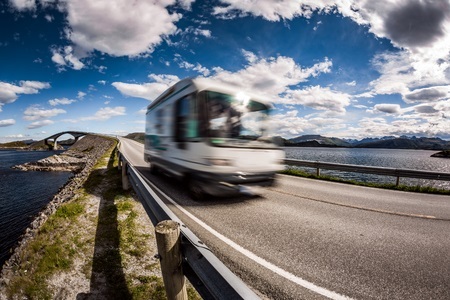 Before you make the great leap into RV ownership, there are a few things you should know to best understand what you’re getting into. RVs largely vary in price depending on the size and type you’re looking for. Luxury RVs and larger higher-end vehicles will of course cost more than smaller, pre-owned RVs. With some research you can likely find an RV that fits your needs and budget. Keep in mind that the larger the RV you purchase, the more gas you’re going to need each time you fill up. You might be able to save some money with a smaller RV. Stay up to date with maintenance on your RV to save on frequent cleaning and fixing costs. As with doing anything new for the first few times, there is a short learning curve to taking an RV on a trip. It’s going to be different compared to the road trips you were used to and it’s important to keep that in mind. You may need to practice driving to get the hang of it, especially with the bigger models. Before hitting the road, take some time to get comfortable with backing up, and watch out for bridge overheads and parking structures. Try driving through different types of terrain and in various weather conditions to get prepared for your RV adventure. The spontaneity of taking an RV trip is magical, but a bit of proper planning is needed to make things go smoothly. Many RV sites are located in suburbs on concrete instead of in nature which most people expect, so you’ll need to do your research to find the types of sites you would most enjoy. Expenses can also add up on an RV trip if you aren’t careful, so budget wisely and set money aside for fees, food, and repairs. Learn ways to travel for less and you’ll start your RV adventure a bit happier and wealthier. Find what you need in RV siding or storage with Hemet Valley RV, specializing in trailer siding and RV storage since 2005.